» PC Reviews » CyberPowerPC Gamer Master GMA2200A Desktop Gaming PC, Does It Perform Well? « Xotic PC Review, Are These PCs Overpriced & Under Built? 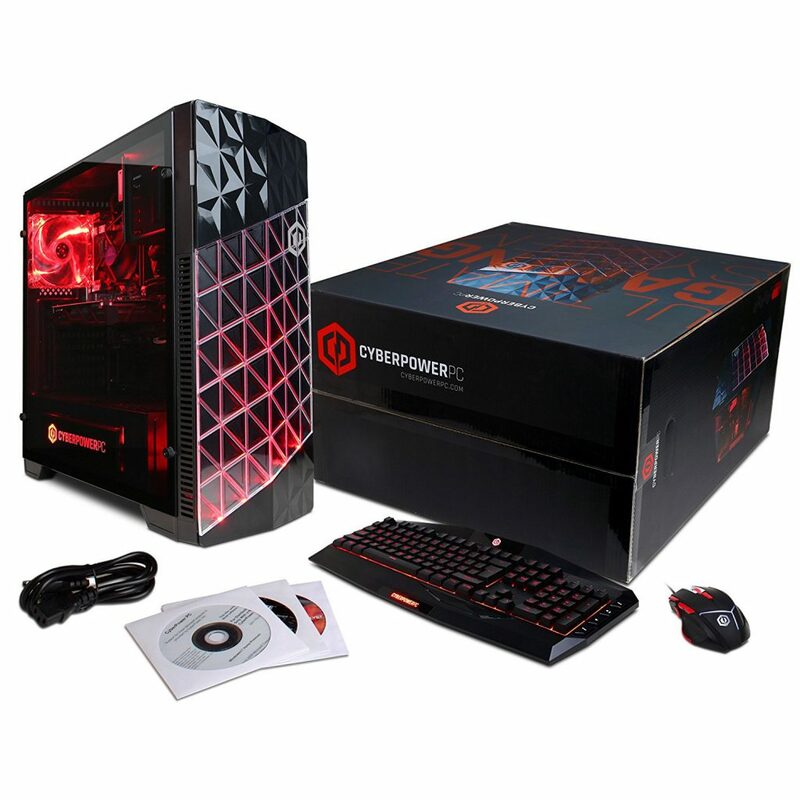 CyberPowerPC Gamer Master GMA2200A Desktop Gaming PC, Does It Perform Well? 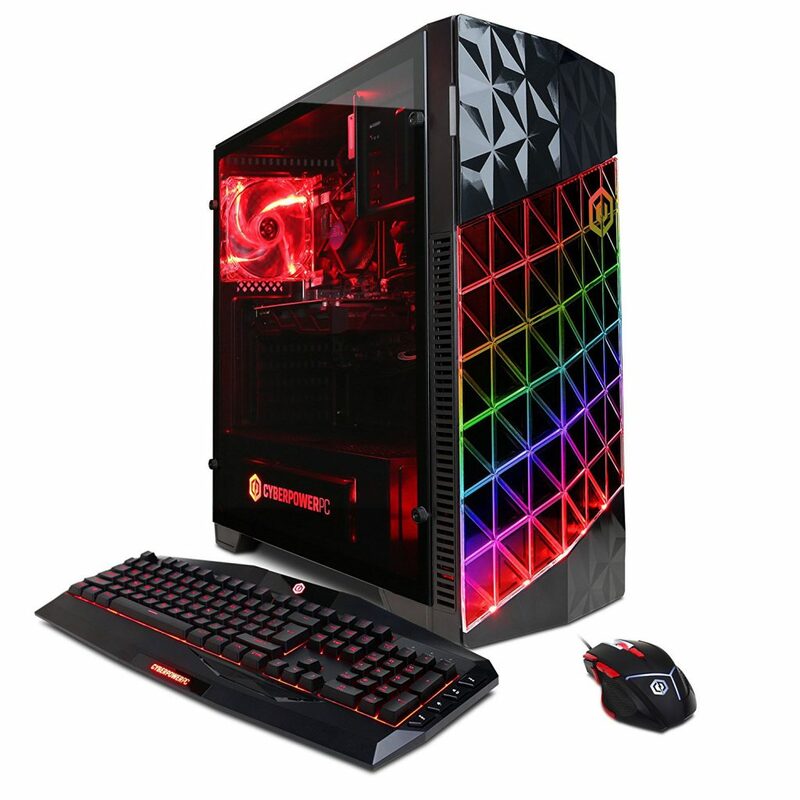 Let’s review the CyberTronPC Gamer Master GMA2200A desktop gaming PC since it recently became a top seller on Amazon. Does the hardware add up to the price? Whenever you’re looking into a pre-built gaming PC you need to make sure you understand all of the hardware that is inside. From there, you can determine whether or not it’s worth the asking price. That’s what I plan to do, let’s find out if it’s worth picking up. CyberPowerPC (cyberpowerpc.com) has been around for almost 10 years now and has really established themselves as one of the top brands for pre-built gaming PCs. There are many cases where their builds actually make sense. I always preach about doing a build of your own to get the most power per dollar spent but when you don’t mind spending the extra bit for a PC that’s ready right out of the box and don’t mind missing out on some performance then I see the value 100%. There is also value in the customer support where you not only have one year of parts/labor warranty but you also get a three year technical support warranty and lifetime phone support if you ever come across technical issues. I’d say that if overall support is your main goal when looking for a PC then pre-built PCs shouldn’t be looked over. These guys know what they’re doing when it comes to support and providing a quality build. But quality care means nothing if the hardware isn’t up to par with a similar level of quality. Let’s take a look at what’s inside of the GMA2200A! 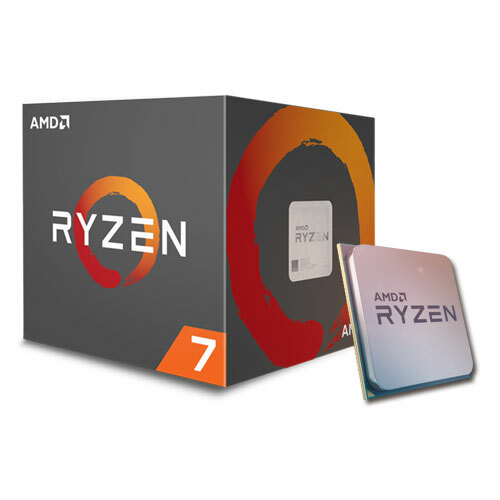 For the processor this PC sports the Ryzen 7 1700. This is a great processor and is from the newest generation of processors from AMD. Ryzen was made mainly with content creators in mind. What Ryzen does well is multi-threaded usage meaning that when you’re trying to do heavier processing tasks such as rendering or video editing then you’re going to get it done quick because of the performance of Ryzen. When it comes to gaming, Ryzen keeps up. You can expect a smooth experience with the 1700. Not to mention that you’re able to overclock it with the stock cooler, the software with the motherboard allows it. I like how AMD made sure that the stock cooler was going to be adequate for those that are looking to overclock the CPU. Overclocking allows you to have the processor run faster than what it was designed for. This can go wrong if you don’t know what you’re doing beforehand so I would recommend studying up on plenty of videos before moving forward with overclocking. It’s also worth noting that overclocking isn’t going to be essential right out of the gate. I’d say to only overclock if you’re wanting that extra boost of performance or if you’re simply wanting to test out the 1700 to see what it’s truly capable of. Later on I’ll get into the type of processor you’d be able to use doing a build of your own compared to the 1700. Because of the other specs, the CPU here is able to be more at a higher level. 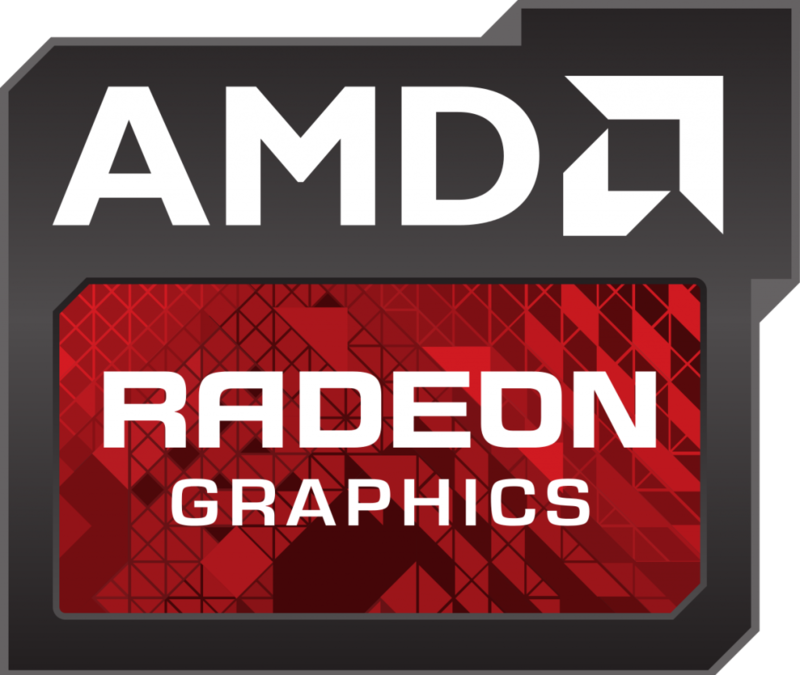 The video card is the most important aspect of a PC when it comes to gaming performance. Sure, the processor and the memory is also involved with gaming but most games are optimized more towards the video card for graphics. For the video card this PC uses a 4GB RX 580 which is the ideal type of card to look at having when spending this much on a PC and wanting to stick with AMD. Right now the market for the RX series video cards are a bit more expensive than what they should really be priced at. If you’re wanting a RX series video card specifically in your PC then a pre-built is the way to go, for now. Honestly, at this budget point, video card performance could be better. I was hoping to at least see an 8GB version of the RX 580 but that isn’t the case here. I’m not saying that a 4GB RX 580 is a bad card, it’s an excellent card! But when you start looking at power per dollar spent, it could be more optimized for more performance. For example, there are times where a $1,000 PC build would be able to use an 8GB GTX 1070 instead and have a lot more performance on the GPU side of things. Other specs would have to go down a little but the importance behind a high performing video card in comparison to the other specs out weighs the downgrade. A card like this is going to run high demanding games such as PUBG, the new Assassin’s Creed or other AAA titles just fine. I’d expect to have a smooth frame rate at a tweaked high setting for the higher demanding games. Overall, it’s not a bad card by any means. It has a high level of performance and it’s going to give a smooth, 1080p gaming experience. It’s just that with a build of your own you’d be able to have a better card at this price range. Now let’s take a look at all of the other pieces of hardware that this has. These specs surprised me because I wasn’t expecting so much more to be included. It also has 16GB of DDR4 RAM, a 2TB hard drive, a CD drive, a keyboard/mouse combo and Windows 10 pre-installed. Having 16GB of DDR4 RAM is a very nice touch. The standard for all recent titles is 8GB if you’re wanting to be able to run them without running into many issues. 1 6GB is future-proofing the PC since it’s inevitable that RAM usage will increase throughout the years. You won’t have to worry about adding any more RAM into the PC if gaming performance is your main concern. A 2TB hard drive is more than enough space for all of your games and then some. It would have been nice to see a solid state drive in the mix but it’s not entirely necessary. Boot times and load times on games will be at the average speed because of this. CD drives are becoming less and less important as time goes on and as everything is moving to a digital platform. Having one could be seen as a little bonus, you can burn CDs and what not all you want. That and there are some CDs that will come with that should be worth looking into. The keyboard and mouse that it comes with is going to be fine for 1080p gaming which is what this PC is meant for anyway. The keyboard has 7 different light up colors to choose from to match up with whatever color you pick for the inside of your case which also has multiple colors to show off. Eventually you may want to think about upgrading to a different combo but like I said, the mouse is going to be fine for 1080p even at a competitive level and keyboards are more personal taste than having an edge in gaming. Windows 10 will come pre-installed on the PC and I’ve seen that CyberPowerPC does not include much if any bloatware with it. Bloatware are those little programs or games that come with a computer that are annoying, not needed and should just be uninstalled. Fortunately, you shouldn’t see much at all with a CyberPowerPC computer. This marks the end of the CyberPowerPC GMA2200A desktop PC review. All in all, it’s not a bad pick at all if you are in the market for a pre-built PC. Sure, the video card could be better if you’re spending this much on a build but all of the other specs add up to the final price. On top of that you get a lot of support from CyberPowerPC so I can see why there have been a bunch of people picking it up! You should also take a look at the reviews on Amazon if you haven’t already, many people have used this PC and it’s rated pretty high overall. So, what do you like most about the GMA2200A model? Are you going to be getting one yourself? Or doing a build of your own? Tagged CybertronPC, gaming desktop, Pre-built PC. Bookmark the permalink.